Online shopping grew at its fastest pace in nearly four years in April as soaring fuel prices sent Americans to their computers instead of the malls to shop on the internet instead, according to MasterCard Advisors. Consumers spent $13.8 billion online in April, a 19.2 per cent increase over the same month of 2010, according to the SpendingPulse survey, which is based on spending using MasterCard credit cards and estimates of other forms of payment. Mike Berry, MasterCard Advisors’ director of industry research, said “We’ve started to see demand distortion, with people pumping fewer gallons and driving less.” Amazon.com reported sales had increased as much as 45 percent, while eBay reported a 10 percent rise. In general, April sales trends are mixed, with some sectors showing continued year-over-year growth. Others are flat or even negative, according to the report, which tracks sales across all payment methods. A late Easter, which shifted some sales from March into April, may skew interpretations, although data suggests that high gasoline prices are impacting consumer behavior. April marked the sixth straight month of double-digit growth in online shopping, according to Berry. Online shopping has risen from 0.6 percent of all retail spending at the end of 1999 to 4.3 percent in the 4th quarter of last year, according to Census Bureau statistics. “We can expect consumers to make fewer shopping trips, especially on weekends, and this may contribute to an ever stronger growth for e-commerce,” says Michael McNamara, vice president, research and analysis for SpendingPulse. Several retail sectors saw online sale increases during April. For example, online shoe sales rose 20 percent compared with 2010. Women’s clothing rose by 15 percent, the second consecutive month to record that large an increase. By comparison, clothing sales in actual stores rose 10.4 percent. Consumer electronics purchased online grew 9.1 percent, for the eighth consecutive month of growth. Electronics and appliance sales, including brick and mortar purchases, declined 1.8 percent in April. Surprisingly demand also hasn’t yet been hurt by the sharp rise in gasoline prices brought on by the uprisings across the Middle East, according to Berry. Still, he warns the trend bears watching as he expects that spending levels are only just starting to see the impact of soaring gas prices. “We haven’t reached that point yet, but it is something to keep an eye on,” he said. Online holiday shopping for November and December of 2010 hit a record $32.6 billion, representing a 12 percent increase over the previous year. This is a finding by comScore, a global leader in measuring the digital world and a source of digital marketing intelligence. For the sake of comparison, consider that between November 1 and December 31, 2009, online purchases totaled $29.084 billion. On Black Friday alone – the day after Thanksgiving – online purchases totaled $648 million, compared with $595 million one year ago. Cyber Monday (November 29) online sales totaled $1.028 billion this year. Green Monday (December 13) came in a close second with $954 million worth of online transactions. 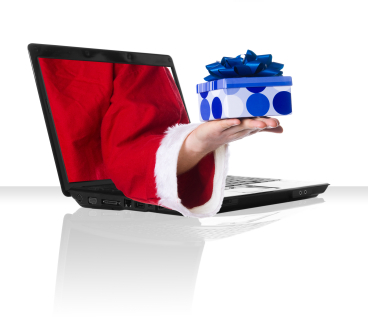 Free shipping day (Friday, December 17) was in third place, with $942 million worth of sales.